The second generation Mantua (1978-2001) began with mostly steam locomotives, a few diesels, some passenger cars, and only a few freight cars. 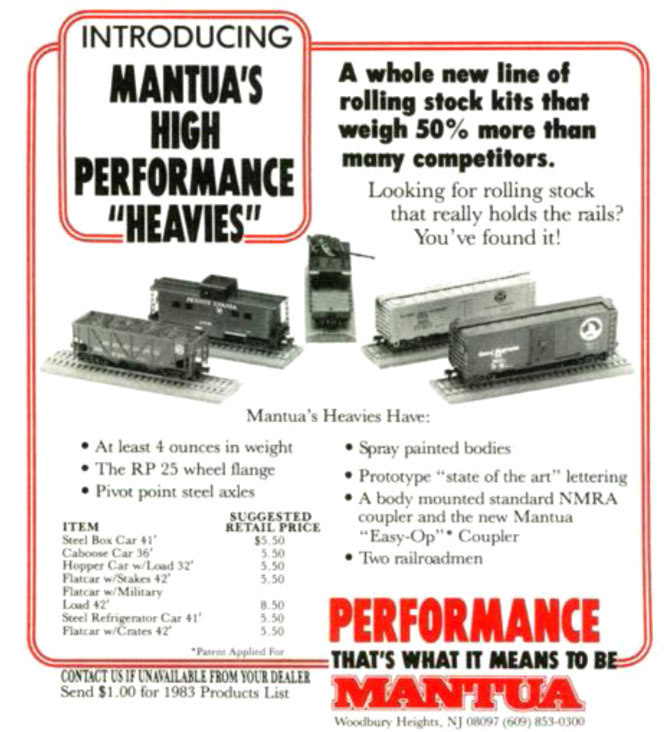 In the early 1980s, Mantua brought to market a number of HO-scale rolling stock selections to expand its line. 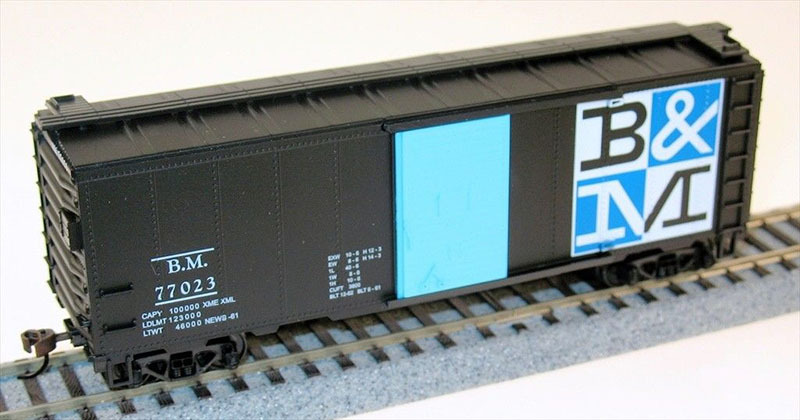 These freight cars came from Lindberg’s train line and date to the early 1960s originally. By the time of their early 1980s return as Mantua offerings, these freight cars had been gone from Lindberg’s catalog for a decade. Among the former Lindberg toolings was a 41-foot steel boxcar model. This car debuted with Mantua in kit form and carried 734-series numbering. 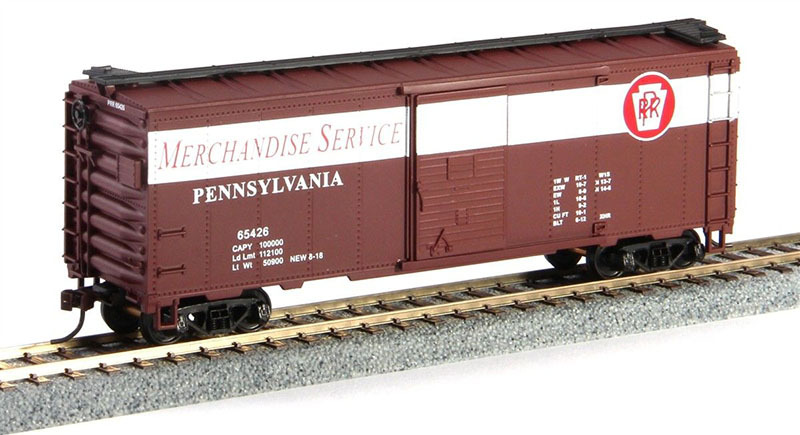 The original Mantua 1980s collection of these boxcar models included 10 road names, as well as an undecorated release. 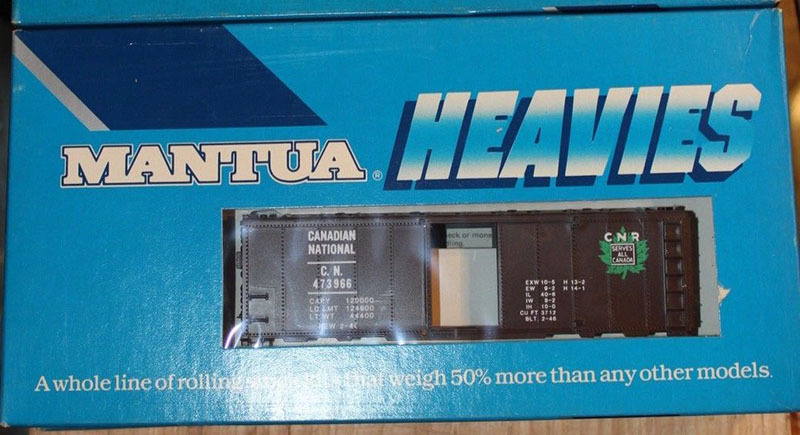 This group appears to remain constant during the early-to-mid 1980s and the models sold under the “Mantua Heavies” series. 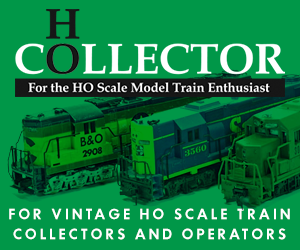 The original kit release carried a $5.50 suggested retail price and Mantua listed it came with a body-mounted “standard NMRA coupler” meaning X2f or “horn hook” coupler, as well as the manufacturer’s then-new plastic “Easy-Op” knuckle coupler. The kit was also listed as coming with two railroad crew figures. These figures were part of Lindberg’s line in the early 1960s. 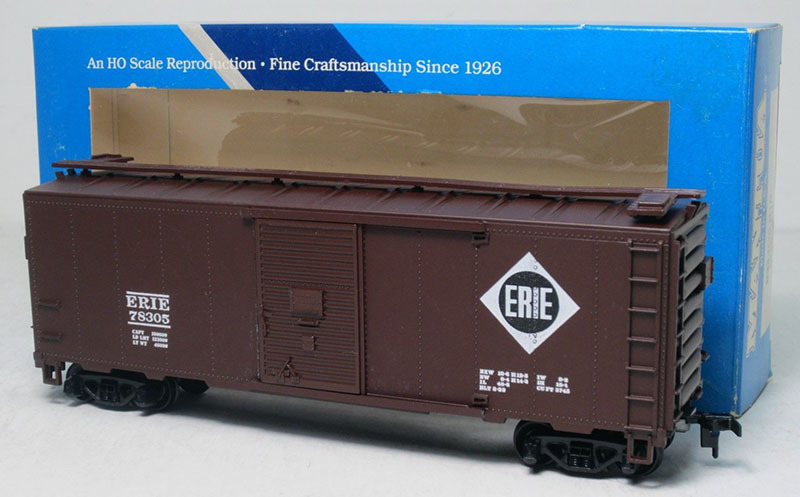 This boxcar model first shows in Mantua’s 1987 catalog as being offered fully assembled. The ready-to-run versions carried 834-series numbers in the 1987 catalog. According the 1987 catalog the original collection of road names, except for Military, makes the jump to ready-to-run release. 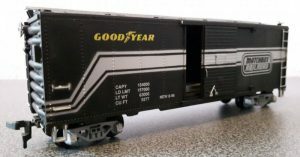 By 1989, the kit version of Mantua’s steel boxcar is gone and only ready-to-run 834-series examples appear in catalogs and carried an $8.00 suggested retail price. Though it was a ready-to-run release, the 1992 Frisco boxcar release included 734-series numbers in Mantua’s catalogs. 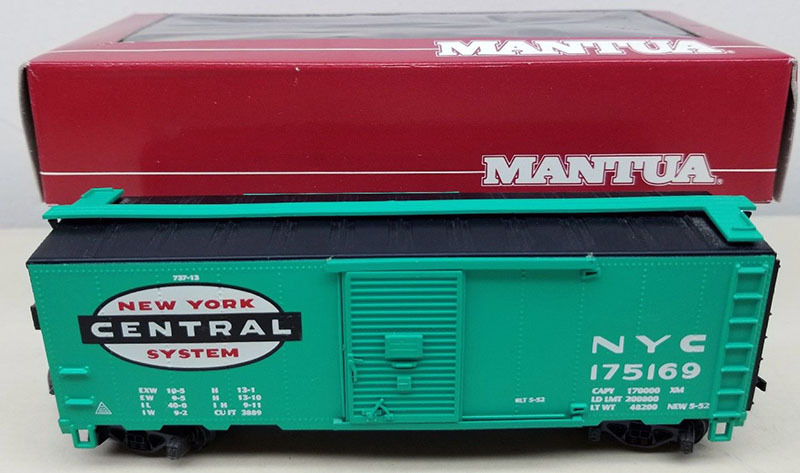 The Frisco release brings in the 1990s 734-series stock numbers for Mantua’s 41-foot steel boxcar models (other than the NYC and Railbox value packs). Mantua included a few examples of its 41-foot steel boxcar in train sets. These boxcar offerings are not known to have been sold outside of the train set release. There is a “Santa’s on his way” red-and-green boxcar in the 1996 “Toy Express” Mantua Collectibles set. At least two Matchbox Railroad boxcars are known to exist, one is black with silver bands and there is a holiday Matchbox train set with a red-and-green boxcar offering.